When you hit Tier 100 in Fortnite, you might think your work is done. But once you’ve reached the milestone, there are a number of secret Tier 100 challenges which unlock the awesome High Octane glider. Who wouldn’t want a glider based on John Wick’s Mustang? So here’s our guide with a few tips on how to complete every Tier 100 challenge. Each one grants you 1,000 XP, and when you’ve done five out of seven, the glider is yours. Remember: Fortnite Season 3 ends really soon, so if you’re going to get this unlocked, you need to get cracking. Good luck! This can be a pretty difficult challenge if you don’t know where to look. Right now, we’d recommend steering clear of Lonely Lodge, since one of the Week 7 challenges is to search chests in that location. A really good place to complete this challenge is Snobby Shores. There tend to be a lot of chests in the attics and basements of the houses around this area, so, if you’re lucky, you can pick all seven in this area. It would be an advantage if you can run with a squad for this challenge and take turns at opening chests. It’ll be easier to find chests with everyone looking and the other players on the team can protect the person opening. Alternatively, you can head to Tilted Towers, since there are usually at least 28 gold chests here. However, it’s usually crawling with enemy players, so continue at your peril. If you can search out Knepley’s Pawn shop at the southern end of the city, there’s a secret bunker in the basement that usually has at least two chests inside. This challenge is pretty straightforward. Just play ten matches when you kill one other player. Simple. Take advantage of distracted players looking for hidden gnomes and pick them off. This can be tricky if you’re not the best gunfighter, but if you’ve made it to Tier 100, it shouldn’t give you too much trouble. 1,000 damage is equal to ten eliminations without any shields, or five eliminations with full shields. So most of the time, you’re looking at seven or eight kills in one game to complete this challenge. Try to use cover to your advantage, and position yourself to get the drop on enemies so you can at least deal some damage and retreat if you’re outgunned. We asked YouTuber Ali-A for his Fortnite tips, so take a look if you’re struggling. This one requires a bit of luck to be successful. Your best chance at completing this challenge is right at the start of the game before other players have found guns and shields. 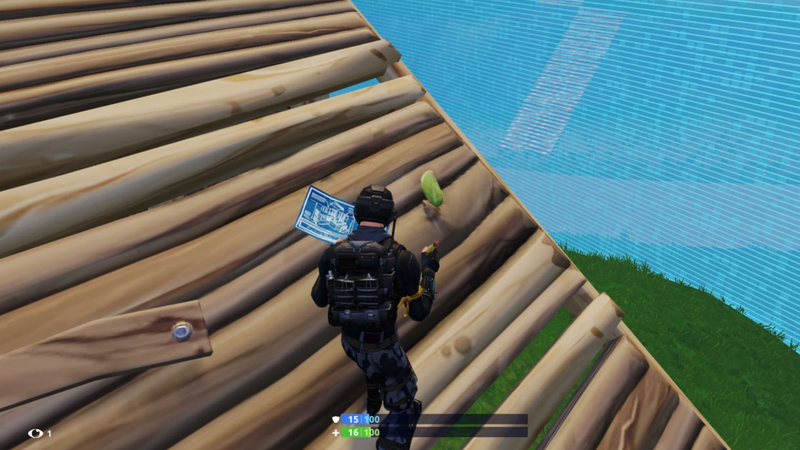 A pickaxe elimination means you have to down an opponent with the pickaxe, you can’t knock them down with guns and then finish them off. If you have a squad to play with, you can try to herd vulnerable players into a corner so you can run in and finish them with the pick. This challenge is all about getting yourself stuck into the action. You don’t have to win a match where you get five kills, you just have to get them. Try to land in a highly populated area like Tilted Towers and find a weapon as quickly as you can. There should be a lot of action going on around you, so play smart, stick to cover, and try to mop up as many unsuspecting players as you can. Since there are so many fights going on in somewhere like Tilted Towers, people you come across are likely going to be damaged already, or distracted as they collect loot from someone they’ve killed. You might not last the whole game playing like this, but you give yourself a lot of chances to get kills quickly, which is a more proactive way of completing the challenge – rather than being cautious and maybe only meeting two other players. This one isn’t too hard. You can often make it to at least the top 20 without seeing anyone if you hide effectively. Keep hidden and stay aware of your surroundings. If you’re not surprised by someone, you have a decent chance of getting out of the engagement alive. We have a separate guide on how to make the top 5 of Fortnite, so check that out if you’re stuck. This challenge is a little tougher than solo, but sounds a bit harder than it is. If every squad has four players, then there’s only 25 places that you can finish in, not 100. Similar rules as solo apply to playing in squads – stick to cover and don’t be surprised – but the main thing is to work together. Isolate an enemy and concentrate more than one of your team’s fire on them to melt their health super fast, or each take an area to lock down and control. Once you’ve completed five of the seven Tier 100 challenges, you’ll get the High Octane glider. Not only does it look cool and stand out from the crowd, but it makes a noise like a revving engine when it opens up.